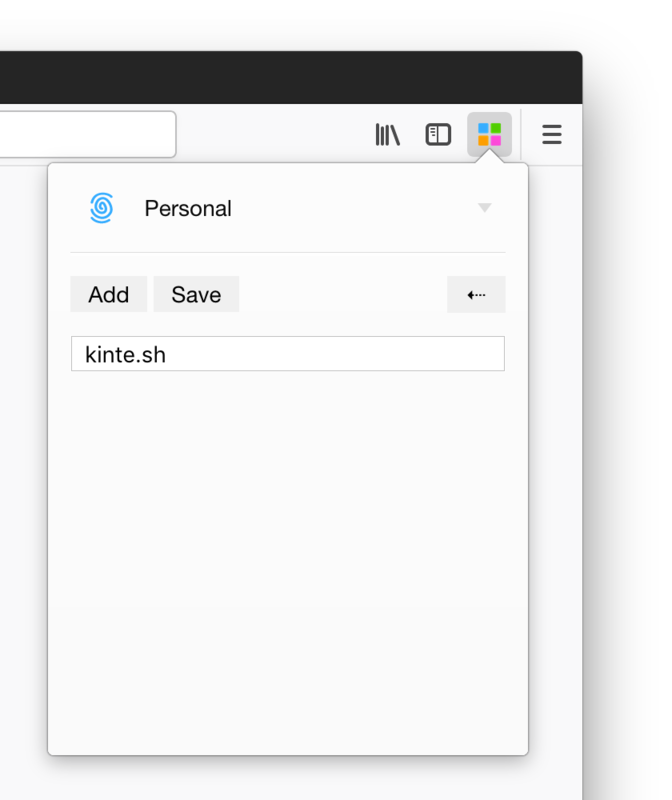 Want to be notified of new releases in kintesh/containerise? kintesh Update to v3.0.1 with bug fix. Select your container and add a domain to always open all visits in the chosen container. Add many domains as you wish. Special No Container option to break out of a container. 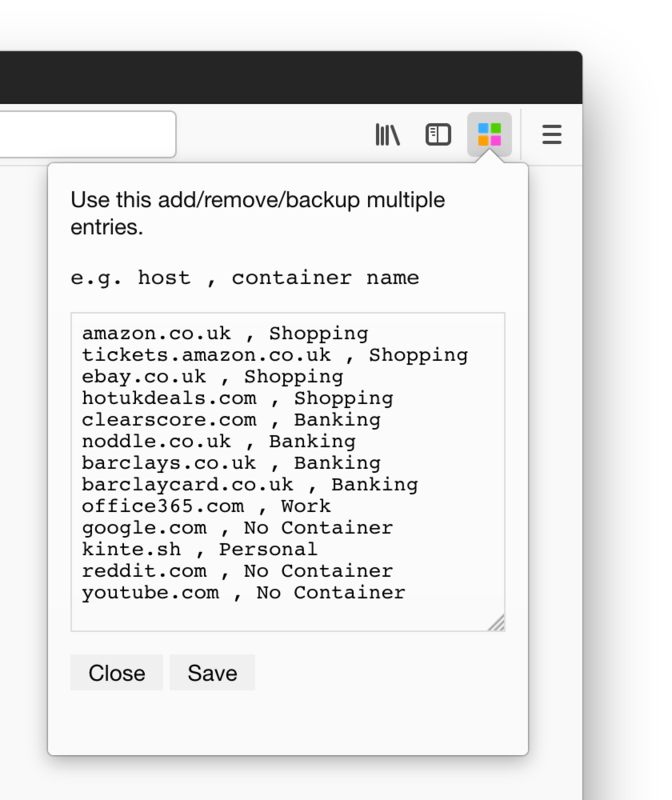 Simple CSV based mapping of a domain to a container by name for easy backup and bulk editing. amazon.co.uk, Shopping will open all amazon.co.uk (not subdomains) links in Shopping container. Starts webpack with --watch option and outputs to ./build directory. Builds the extension for production use. Runs test specs using jest. Use test:watch to watch for edits and re-run the tests. To live reload the extension, start this process in a new tab after starting yarn webpack process.